Judo clubs, competitions and committees are often run or supported by volunteers, hard-working coaches, and young people moving up into positions of responsibility. People commit their time and skills to ensure that everyone who wants to can participate in the sport. Every year, the British Judo Awards recognises top clubs and Judoka who contribute to the life of Judo. 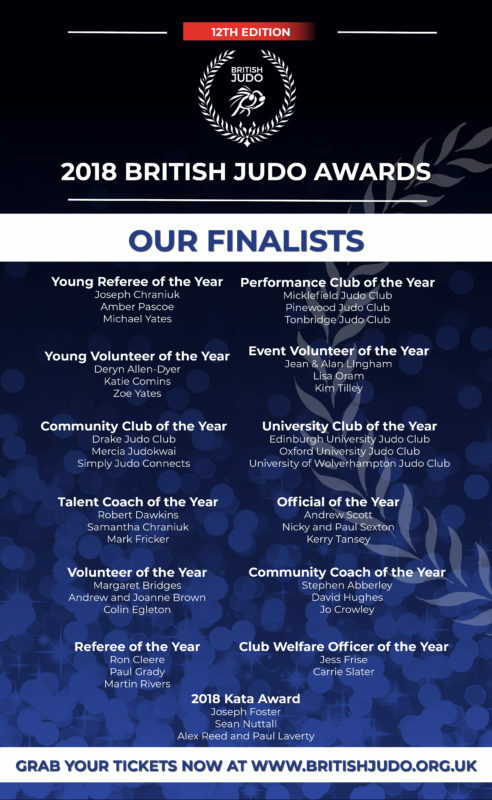 This year, Oxford University Judo Club has been chosen as one of the finalists for University Club of the Year, after a fabulous year of competition, an incredible number of new players, and outstanding coaching. Well done, everyone!